School officials at Chicago State University (CSU) say the future of the largely African-American South Side college is in question due to the Illinois state budget impasse. The state university has been teaching students for almost 150 years, and is Chicago’s oldest, fully accredited public university. CSU relies on state funding for 30 percent of its budget (over $36 million), which is higher than other public universities – a fact not lost on Illinois Governor Bruce Rauner, who lashed out at the university’s president and administration after they pleaded with lawmakers to save their school. The governor believes the institution’s present predicament is due to financial mismanagement of the school. Bipartisan political wrangling is always worse when money is involved, but the loss of Predominantly Black Institutions (PBIs) like CSU will only result in a loss of hope for a better life; right where it is needed the most. Possible closure of the school is a daunting prospect for its mostly black community. CSU is a member-school of Thurgood Marshall College Fund (TMCF). The fund is a non-profit, tax-exempt charitable organization that supports and represents 47 member-schools with a total of over 300,000 students among them. The schools under the wing of TMCF also include public Historically Black Colleges and Universities (HBCUs), law schools, and medical schools. The U.S. Department of Education provides grants to PBIs based on strict eligibility requirements regarding the percentage of black students, income level of students, and specific programs targeted toward the education of African-American males. The student body at CSU is 80 percent African-American, and many of those are from low-income families. CSU has been a “lifeline for students whose social and economic mobility are too often stifled,” said Chicago Urban League President and CEO Shari Runner. Losing funding would ultimately shutter the school, a move which advocates claim would only perpetuate the learning gap between black and white students and, in the process, reinforce the lack of educational resources for young blacks from low-income families. With all of the negative attention being placed on Chicago’s South Side and the gang violence that exists there, having a PBI within the city becomes vitally important to at-risk youth, who may see in the university an opportunity to rise above their surroundings and income level and obtain a college degree. Many students of these schools are the first in their families to attend college, and can only do so with the federal and state funding offered to PBIs. The loss of hope symbolized by the possibility of one day losing CSU comes right where Chicago needs it most. Not only would a dream formally thought impossible serve to keep young men and woman off of the streets by giving them a dash of hope, but a statistical correlation exists to suggest that income, occupation, and education level equate to less criminal behavior (disregarding self-reported illegal drug use.) In addition, there is most likely an inverse relationship between crime and a higher socioeconomic status of parents. Not surprisingly, criminality also correlates with unstable employment and a high frequency of unemployment. These statistics suggest that education is valuable to communities that desire a reduction in crime, which has been the focal point of Chicago lawmakers for years. The threat of CSU’s closing brought the Reverend Jesse Jackson to campus on Jan. 22. Speaking to students, Jackson assured them that he stands with every public university in Illinois that is currently waiting for their state funding to come through again. It appears as though Rauner was not swayed by the pleas of the public colleges. Interestingly, CSU was the first Illinois university to go public with the damage done to their operations by the budget stalemate. On Thursday, Jan. 21, Rauner blasted CSU administrators, saying that due to mismanagement of state funding, perhaps it would be better for the money to go directly to the students. Referring to CSU in particular, Rauner said, “They have the widest achievement gap between white students and African American students of any college. That is wrong.” His statement was accompanied by a memo which cited that although 83 percent of the university’s white students obtain their degree in six years, only 19 percent of black students do. CSU is not the only school struggling. 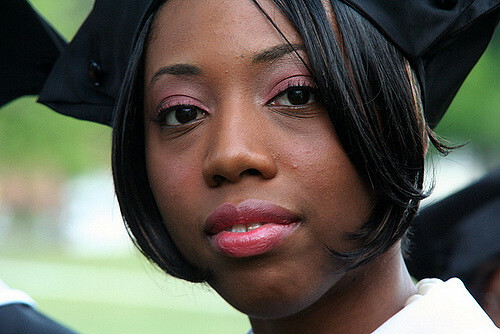 U.S. News & World Report says the graduation rate at HBCU Medgar Evers is only 4 percent. The highest graduation rate among HBCUs was 70 percent in 2014. HBCUs are struggling financially due to greater federal limitations on funding and the greater ease for African American students to apply to and attend a wider range of universities. Statistics compiled by The Journal of Blacks in Higher Education show that the graduation rate among the bottom half of these public universities stayed below 35 percent. University President Thomas J. Calhoun said via letter that the statistics thrown out by Rauner are misleading. He said that CSU is willing to come to the table to discuss necessary changes, but without funding, any reforms agreed upon by lawmakers and university administration cannot be put into practice. Rauner responded by saying, “For them to all of a sudden go, ‘Hey, we’re sorta more broke than most,’ while they’ve been throwing money down the toilet….Let’s have some standards of behavior.” According to Rauner’s office, CSU has one administrator for every 17 students, which is highest of any other state college, and those administrators’ salaries make up 45 percent of the payroll. Without greater detail into what CSU has been “throwing down the toilet,” it is impossible to tell to what standards the governor is accusing the university of not meeting. Illinois legislators have been at a stalemate regarding the state budget for approximately seven months. With no end in sight, the impasse may last through the March primary and continue beyond the November election, a fact which causes consternation for university officials, who believe that without funding, they will run through their reserve funds by March 1. CSU staffers are looking for any possible solution to help operations continue into March. Spokesman Thomas Wogan said the school feels a “moral, legal, and ethical oblication to complete the semester.” They are already covering approximately $5 million in state scholarships, called Monetary Award Program (MAP) grants, which are given to low-income students and which have ceased due to the budget impasse. Students at the university have organized to form a fundraising group called Operation Save CSU. The group is working with college administrators in an effort to keep their school operating. Meanwhile, Chicago Democratic Senator Emil Jones III introduced a $25 million plan on Monday which would keep CSU open until the end of the current semester. The legislation will go to the Senate Rules Committee after the lawmakers return to session in Springfield on Jan. 27. The committee will then assign it as needing more consideration. Speaking to NBC Chicago, Jones said most of the students affected by the governor’s refusal to negotiate “don’t come from the best backgrounds but are trying to achieve more to build their community.” There may be no other statement that more accurately sums up the need for PBIs such as CSU; what better way to help disadvantaged students reach higher in order to strengthen and rebuild their communities than by educating them? Losing schools that are uniquely positioned to offer hope to low-income students will only hurt those who need it most. Text: Ellis, Lee; Beaver, Kevin M.; Wright, John (1 April 2009). Handbook of Crime Correlates. Academic Press. ISBN 9780123736123. 2 Responses to "Loss of Chicago State University Is Loss of Hope Where Needed Most"
Jennifer, this is an extremely well written article and quite timely, as well. I found it to be informative and a tad frightening. Thank you so much for sharing this information in such a provocative manner.